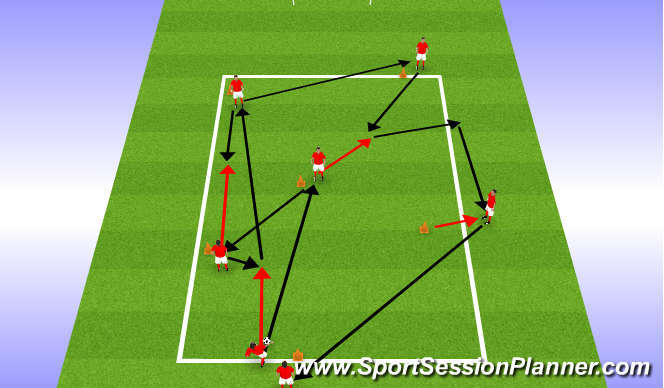 Attack and midfield focused on movement off ball, opposites, checking away and then meeting the ball. timing of runs and angles of support, weight of pace. 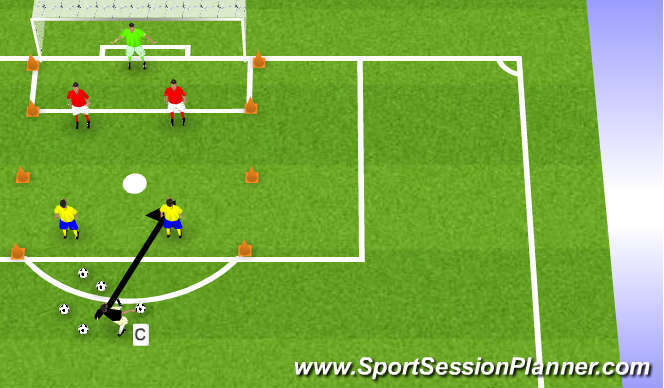 Coach took the defence and worked on 1 v1 &apos;s and progressed to 2 v 2&apos;s. Focusing on cover and support, body positioning. Set Up: work on a pitch 25 x 25 m.
4 v 4 + 4. 4 floating players on the outside, 4v4 on the inside. 10 passes is 1 goal.2 touches only.work on when to pass and agles of support. Communication such as turn, set etc. Make it clear and demanding. Ball starts with the feeder near the half-way line. He plays out wide to the winger. 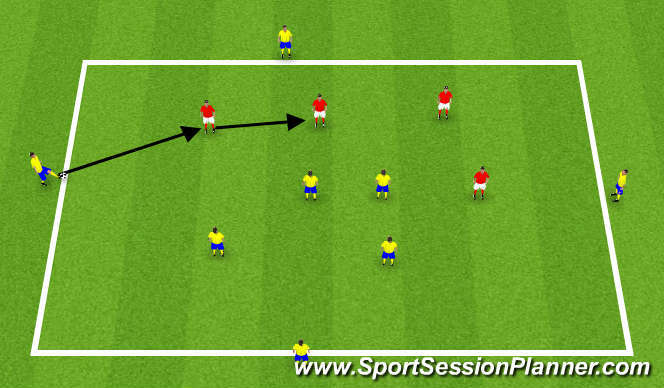 Midfielder is passive and allows him to dribble towards the fullback. Red team has to get ball back to the feeder if they gain possession. the man in the hole from getting free. 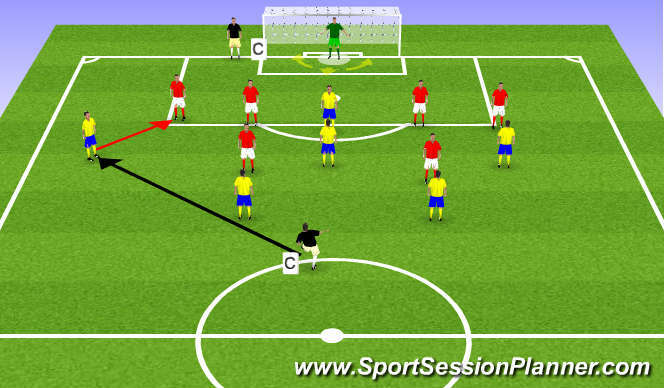 Body position of defenders; making sure that they are always marking the correct shoulder. 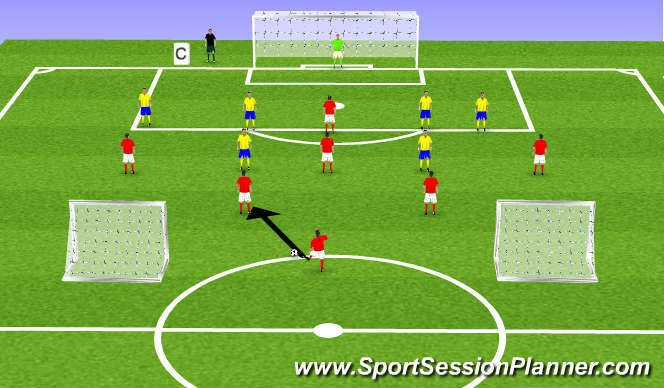 Defensive team set up in a 4-2(+keeper) formation and attacking team set up in a 1-2-3-1 formation. 1 floating player. Defensive team score with a one touch finish in the two free goals. Coach defensive points throughout the game.